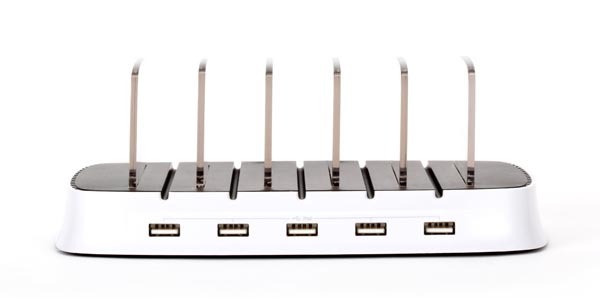 Griffin has unveiled PowerDock 5, its latest charging station for iOS devices. If you need a handy way to charge multiple iOS devices, the docking station should be a nice solution. 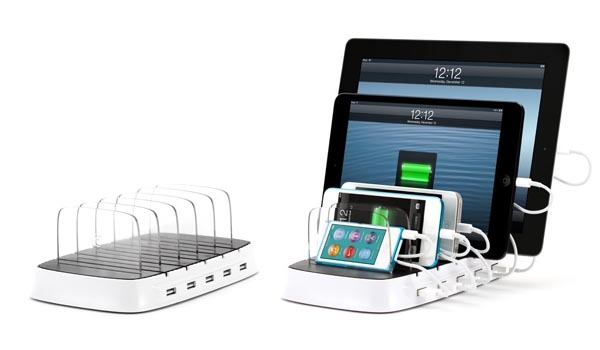 PowerDock 5 is a powerful charging station designed for iPhone, iPad and iPod. 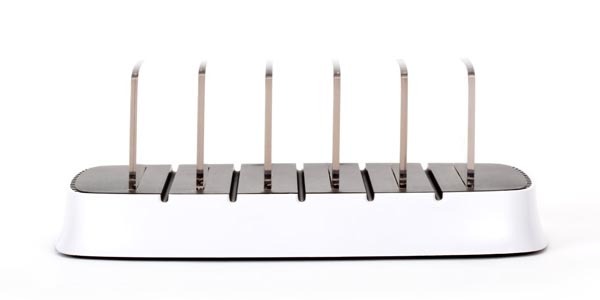 As we can see from the images, the docking station features sleek space-saving design, and comes with 5 USB ports and 5 suitable charging bays in order to charge up to five iOS devices, you even can use it to store and charge 5 iPad tablets with or without protective cases at the same time, moreover, each charging bay features 10 watts output for quick charging. Apart from that, an illuminated status light shows you the connection status of the charging station. PowerDock 5 docking station is priced at $99.99 USD. If you’re interested, jump to Griffin Technology for more details.